Mr. Gibson is Of Counsel with Thorndal Armstrong Delk Balkenbush & Eisinger and handles cases in Northern and Southern Nevada. 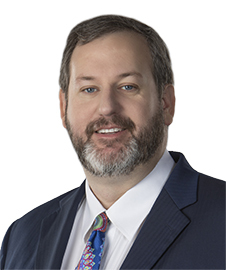 He began practicing law in 1998 and has practiced exclusively in Nevada since 2006. He holds inactive licenses in Missouri and Illinois. For over 18 years Mr. Gibson has consistently obtained positive results for his clients and insurers in areas including complex construction cases (commercial, residential and site accidents), premises liability, product defect, automobile, and trucking accidents. Mr. Gibson has defended clients in numerous environmental matters relating to property damage, bodily injury, toxic chemical and mold claims. Mr. Gibson has handled well over 500 Arbitrations and tried more than 40 jury trials to verdict. He makes every attempt to determine whether an early economical resolution is possible to avoid costly litigation. He has effectively resolved thousands of lawsuits in very early stages of litigation as well as during the pre-litigation phase to the satisfaction of his clients and carrier representatives. Mr. Gibson has handled hundreds of cases designated as “Complex” construction litigation. He has represented virtually every subcontractor trade including those involved with engineering, grading, concrete, flooring, plumbing, mechanical, plaster, masonry, electrical, roofing, and finish trades. He has also represented several window manufacturers. Mr. Gibson and the firm are approved panel counsel for a number of major insurers of construction entities and are thus familiar with insurer requirements. While a substantial number of construction claims have involved Third Party subcontractor defendants, Mr. Gibson has defended Developer/General Contractor entities in both residential and commercial matters. In law school, Mr. Gibson was an Editor of the Saint Louis Law Journal. Mr. Gibson is married with children.